Trying to catch a few rays of sun on the terrace here in the early evening, but the air is still cool. Time to open a new beer. This abbey beer pours dark chocolaty brown, with a lovely firm head. I’m expecting something quite thick. The initial taste is... wow. Rich. Charcoal, burnt malt, bitter, hints of nutmeg. Pillowy body. It’s very close to Westvleteren 8, actually. Slightly thinner, perhaps, and not quite as sweet and gingerbready, but it is excellent. 8%, in case you’re asking. I think I am going to have to review my top ten again. I’ve got several problems actually, but perhaps I should save that discussion for a separate post. 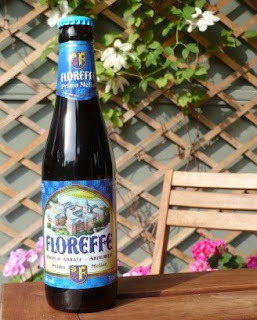 Right now, I just want to enjoy the rest of this Floreffe Prima Melior. 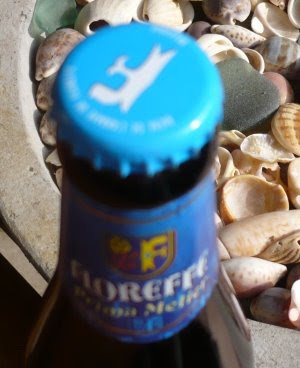 And, by the way, I am fairly sure this is a UN beer, given the sky-blue cap it wears.